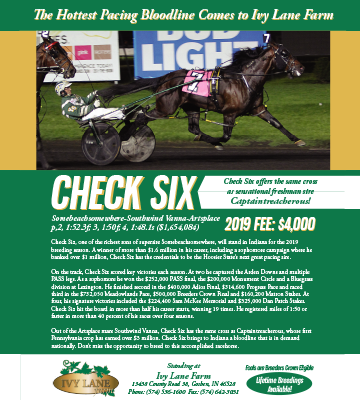 American Girl topped $1 million in earnings during her start in the $22,500 Fillies and Mares Open Friday, April 5 at Miami Valley Raceway. Driven by Aaron Merriman, the 10-year-old Art’s Chip mare rolled to the front early and held her ground well at the end to finish fifth, only beaten three and one-quarter lengths with a race time of 1:51.3. 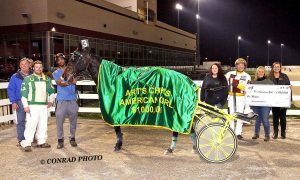 American Girl finished third in her previous start in early March at Miami Valley, just missing the milestone by $80. 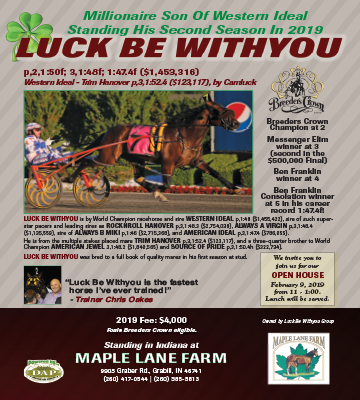 She returned to the track Friday and picked up a little more than $1,100 to earn the title as the sport’s newest millionaire. Trained by Tyler George, American Girl is owned by Darla Gaskin and Stanley Rosenblatt of Fort Wayne, Ind. 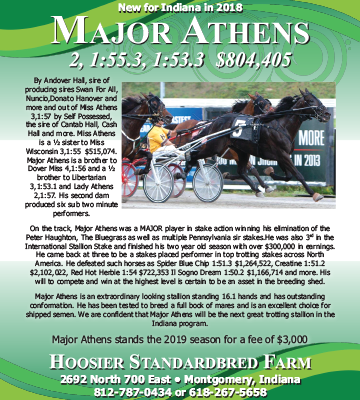 The Indiana-sired mare was foaled in Sheridan, Mich. at Gardner Farms. 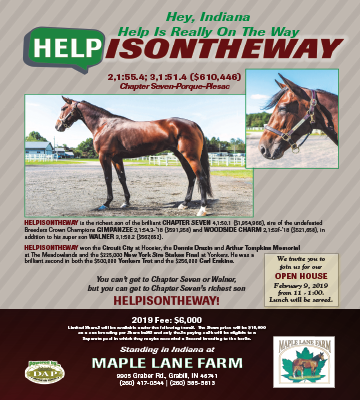 She has raced every year since being purchased by her current connections, taking her career best time of 1:50.3 as a nine-year-old. 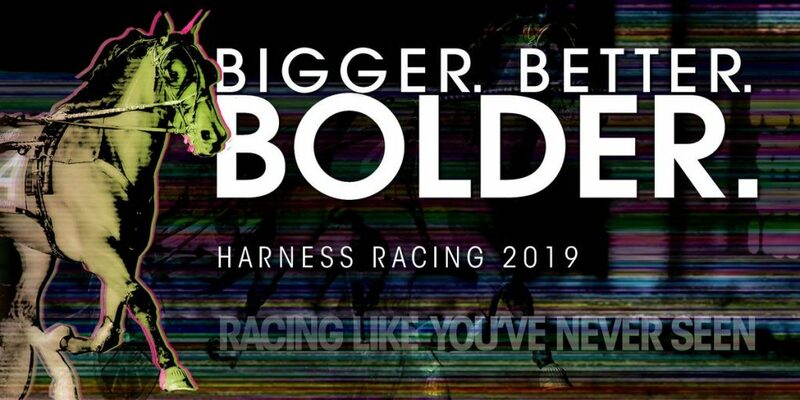 Her career fastest timed mile was a 1:49.4 effort at Harrah’s Hoosier Park as a seven-year-old in 2016.